"Propaganda" leaves a bad taste in the modern audience's mouth, and it's a slur often hurled about at whatever media we find distasteful. It's hard to imagine a time when propaganda was openly discussed, advocated for, and produced under that very name. Sure enough though, it played a major part in world history, even in our own country's history — and even in the animation industry. That's right, some of the most famous propaganda films are animations. Let's take a look at some of them. One of the greatest producers of propaganda was none other than Walt Disney himself. Just before the United States entered World War II, the studio was facing financial troubles. Pinocchio and Fantasia had resulted in financial losses, since the overseas markets were decimated by the war in Europe, and Dumbo was released as a low-budget money maker in October 1941. A couple months later, the attack on Pearl Harbor brought the war to the United States, and the government needed to suddenly build public morale for the fight. That's when they looked to Hollywood's studios to deliver that message, but most of all to Walt Disney. They needed his popular crowd-pleasing animations; he needed a reliable source of revenue. Production started almost right away. By August 1942, Fortune magazine published a column about Disney's efforts, saying that his films were "revolutionizing the technique of education." His films included The Spirit of '43, where Donald Duck argued in favor of paying income taxes; Der Fuehrer's Face, where Donald has a nightmare about the terrible life that Nazis would bring; Commando Duck, where Donald takes out a Japanese base... as one may tell, Donald Duck played a major role in the propaganda efforts. Other shorts included Education for Death, a surprisingly somber film that portrays the life of German youth, indoctrinated from birth to die violently on the battlefield. Victory through Air Power has a more strategic tone, demonstrating the way that strategic bombers had helped the Axis powers and could be used to help the Allies. There are many more films, but simply listing them all here would serve little use beyond what we've established. Disney covered a huge variety of topics, upping his production to tell people about the war, how it would impact them, and how they could impact it. Of course, Disney wasn't the only animation studio producing propaganda. Warner Bros. also threw their hat into the ring. They may not have had the same volume or educational goals, but they still sought to foster public support for the war. They sent their own duck, Daffy, as a commando behind German lines in the appropriately named Daffy — The Commando in 1943. They also produced The Ducktators, where fowl caricatures of the Axis leaders take over a barnyard and push the pacifist dove to his breaking point. It's definitely a fascinating short, but it also shows the racial attitudes of the time... stereotypes and caricatures abound! It's worth looking at to see the culture of the time, but potential viewers should be warned! Propaganda was not just confined to the United States. The Soviet Union produced its own animations to rally their people. The 1941 short "Fascist Boots Shall Not Trample Our Motherland" is incredibly brief, not even reaching three minutes, but delivers its message easily. The visuals aren't necessarily the best though, and a trained eye can find several strange cuts and errors. More remarkable though, is the 1963 short American Imperialist: The Millionaire. It details a scenario where a rich American woman dies, leaving her money to her pet dog, who then becomes a part of the wealthy ruling class. The animation has definitely improved, it has a pleasing subdued palette, and it actually has some fun visual gags. On a technical level, it meets the standards for its time. Even today, animation continues to be used in propaganda films. I'm not talking about comic jabs at this or that political figure, I mean as sincere take-this-seriously propaganda. 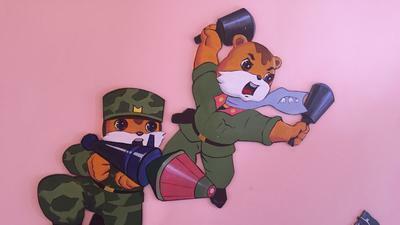 All the way in the hermit kingdom of North Korea, they have a show titled Squirrel and Hedgehog. Given the reclusive nature of any North Korean information, we know little about the show's production. From the episodes we have though, it's relatively easy to see what their goal is. It's a very thinly veiled metaphor. The initial episodes began during the Cold War, where a happy village of squirrels and hedgehogs are protected by a bear from the nefarious weasels. The bear is often drunk and unreliable though, so the village takes it upon themselves to defend against the weasels. If you start thinking "Hey, it's like North Korea is saying they didn't need the Soviet Union to protect them from their enemies," you'd be right. Production was choppy, so later episodes didn't come out for years. When they did though, the animation drastically improved - the show actually looks really good on a technical level. They began adding villainous wolves dressed up in American army uniforms, again an easy metaphor to connect. Most of all though, they started to string together a story that, separated from the propaganda side of things, many people find genuinely compelling even outside of North Korea. The popularity inside the country seems no less. From what little coverage inside the country we have, Squirrel and Hedgehog stickers line nursery walls, and children's ensembles sing musical numbers inspired by the show. However, it's a cause for concern. Beyond everything else mentioned already, the show has a reputation for violence. Protagonists torture enemies for information, bloody executions take place, and they sing about giving up their lives for their home. It's fascinating from an artistic point of view, but also incredibly dangerous. Luckily, propaganda has fallen out of favor throughout most of the world. Some may argue it's present when a film presents one viewpoint or another, but the idea of government-sanctioned mass media is no longer popular. But it's always fascinating to look back, see a time capsule from the past, that might feel like another culture entirely even if it's from your own country. In the male dominated industry of Animation, it's important to remember that not all of the pioneers and leads within the industry have been men. Many animation studios and animation initiatives were lead by women. We wanted to take the time to highlight a few (from many!) noteworthy Women Animators. 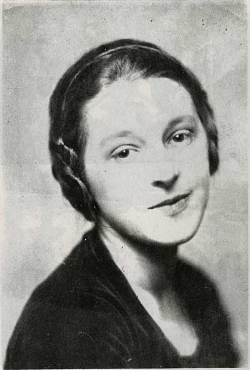 Charlotte (aka Lotte) Reiniger, born in Germany, made over 40 films in her career. As one of the first women in animation, she practiced the silhouette technique to animate her characters and used hinge pins to move her characters joints. Her best known films include The Adventures of Prince Achmed (one of the first animated feature films in cinema history), Snow White and the Seven Dwarfs, and Papageno. 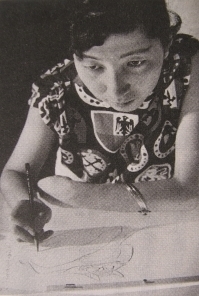 Reiko Okuyama, one of Japan's first women animators is best known for her work in the anime genre. When first starting her career in 1957, she actually thought she was applying to a job that would have her drawing children's books, but to her surprise the position was actually a job at Toei Doga (Japanese Animated Films). She was offered the job and she accepted. After years of moving up the career ladder, in 1976 she was rose to become head animator. After leaving Toei Doga, she began freelancing and eventually ended up illustrating a children's book. Lillian Friedman is known to be one of the first woman animators with in the studio system. She rose up in the ranks by transitioning as a Colorist to an Inbetweener to an Inker to Assistant Animator to eventually the Head Animator at Fleischer. At Fleischer she animated 11 titles. Friedman is best known for her work in Popeye and Betty Boop.